We grow more than 60 types of vegetables, plus melons and strawberries! You will receive 10-15 items in each box, and will have the ability to customize your box. Pictured below are three sample CSA boxes. See our past CSA newsletters for more examples of what past boxes have contained. As a summer CSA member, you will get to share in the full bounty of the season. From greens and strawberries in the early season, to juicy heirlooms in the late summer, to butternut squash in the fall, we promise to fill your plates with interesting and delicious vegetables. All of our shares are customizable. 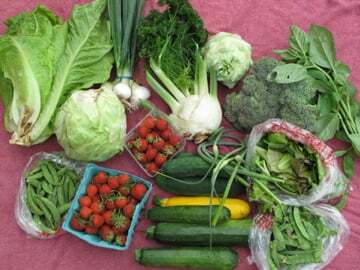 Each week we will suggest a CSA share with about 10 – 15 items. Using our mobile friendly software, you will be able to view this share and swap out any items you don’t love for ones you do. Zucchini not your favorite? Swap out for more carrots. Don’t want kale? Customize your share to have head lettuce instead. We grow over 60 different vegetables, as well as strawberries and melons. The majority of shares are full of staple crops you’ll recognize, like carrots, broccoli, lettuce, onions, tomatoes, and potatoes. But we also grow many other kinds of vegetables that reflect the diversity of what can be grown in Wisconsin. You’ll get to learn and hopefully love some new veggies – like fennel, kohlrabi, and kale to name a few. Weekly newsletters will help you learn about the items in your box and give you storage tips and cooking ideas. On our website, we have a recipe search index which provides access to all archived recipes. 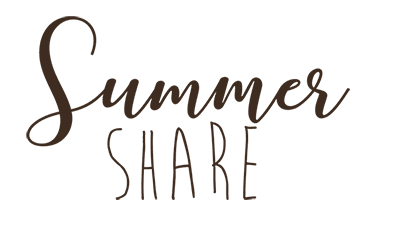 We have two different share options for our summer shares. All shares are customizable. A regular share provides a weekly box of fresh vegetables from the farm for 20 weeks from early June through mid-October. It generally feeds a family of 3 to 5 members (though each family’s veggie consumption differs). All shares are customizable. 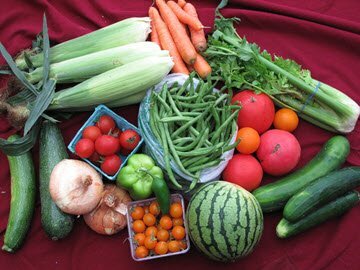 An everyother share provides a box of fresh vegetables every other week for 20 weeks (10 boxes total) from early June through mid-October. It generally feeds a family of 1 to 3 (though each family’s veggie consumption differs). 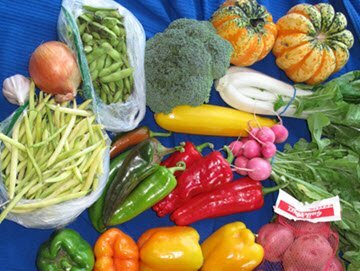 Click here for our 2019 listing of Madison-area pick-up sites and days for our Summer & Winter shares. Pick-up day is Wednesday or Friday afternoon at your specific location, but if you are planning to be out of town or know you can’t make your pick-up, you can pre-plan to come get your box directly at the farm. Below is a list of the fruits and vegetables we grow on the farm. We have a Veggie Guide about our vegetables for you to more about what you are eating! 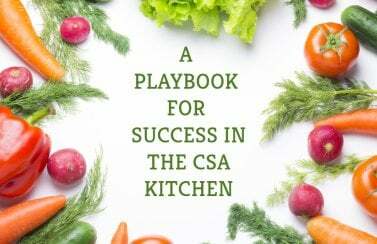 We also have a renowned CSA Recipe Archive to help you eat through your box.